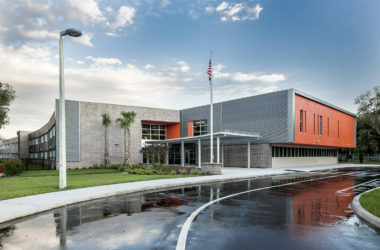 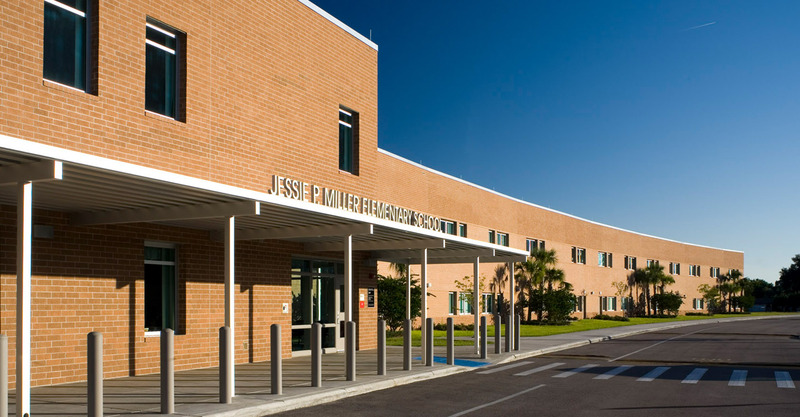 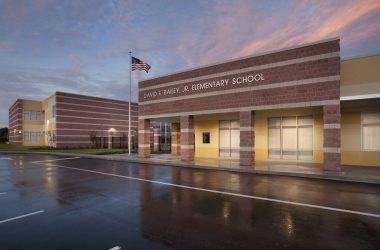 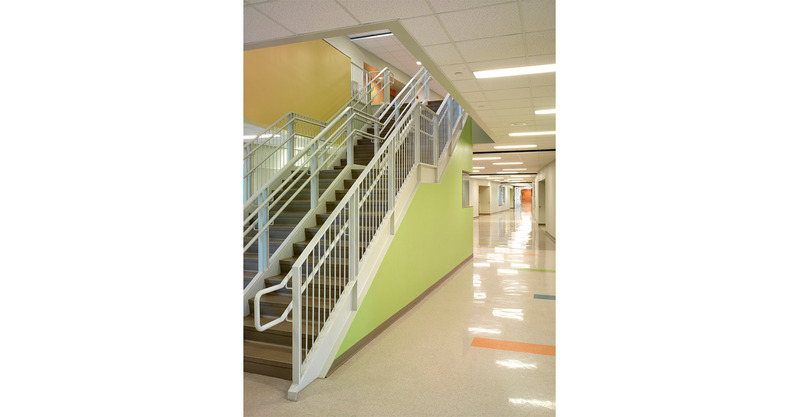 This two-story facility serves as an 830 student replacement elementary school and is comprised of standardized pairs of flexible use classrooms efficiently arranged along a faceted, double-loaded corridor. 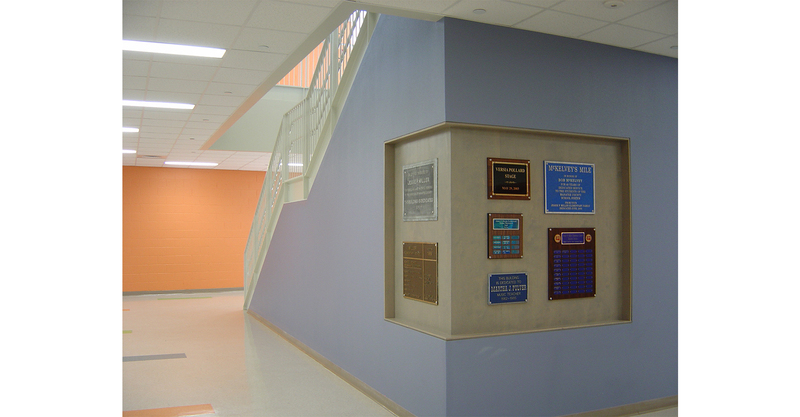 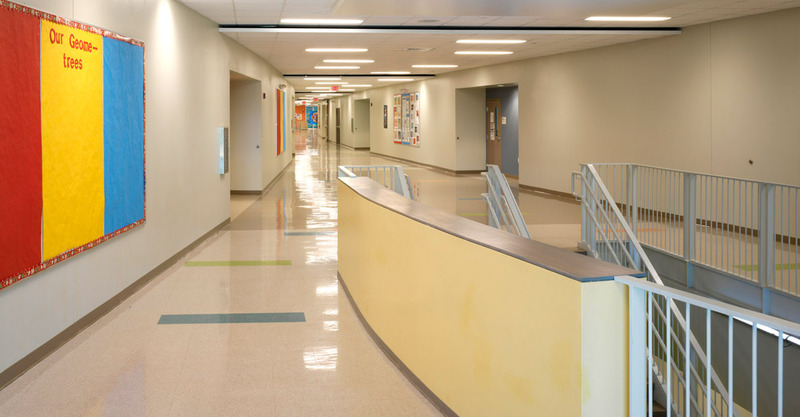 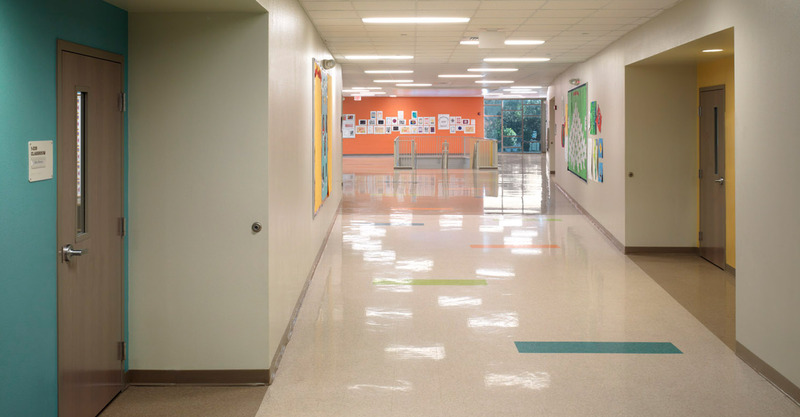 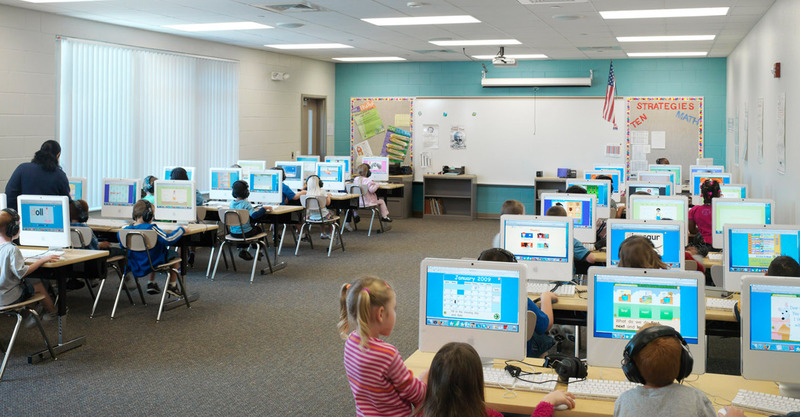 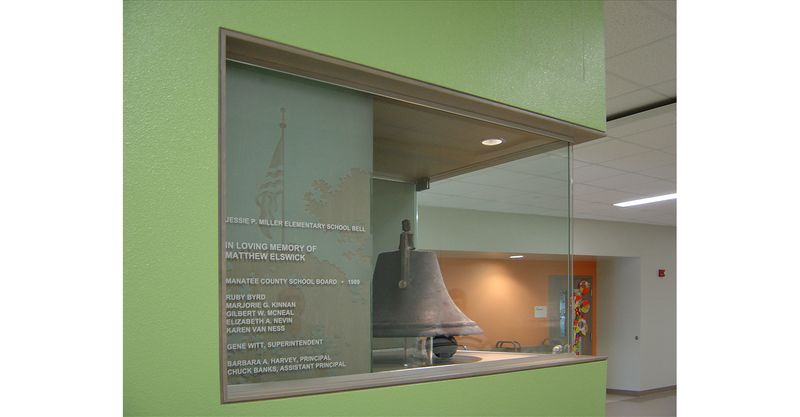 In addition to instructional classrooms, the facility features art and music laboratories, food service/multipurpose/dining area, administration and guidance suite, clinic, media center, and covered play area. 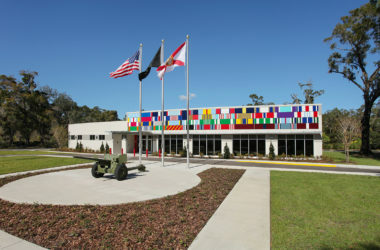 An expansive community park and exercise trail was provided along the north portion of the site once occupied by former campus buildings. 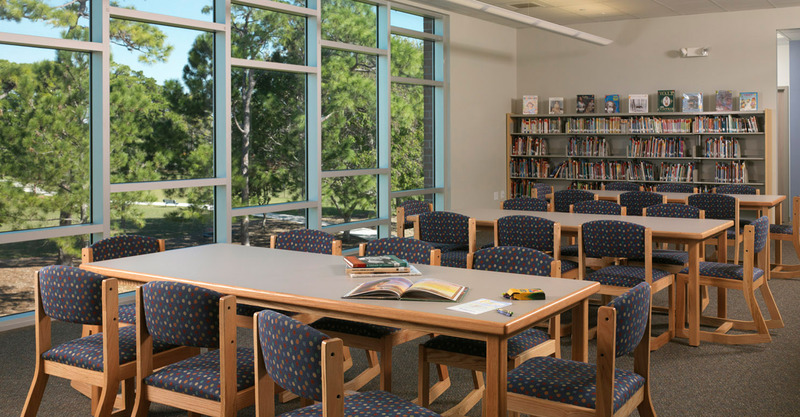 The project preserved and enhanced an existed wooded corner of the campus used by community groups for school fundraising and maintained access to public tennis courts.